I strive to advocate that multilateral organizations engaged in Information and Communication Technologies for Development (ICT4D) should pursue their missions with a deeper understanding of nuanced issues beyond technology advancements; and this by driving thinking and advocating practices so that innovation and technology advancements are informed by their social and human impacts when addressing developmental challenges. – Served ITU, the United Nations’ specialized agency for information and communication technologies (ICTs) in the Information Services as Project Lead, Web and Internet Specialist and also as Strategy and Policy Analyst in the Corporate Strategy Division. – Interested in a broad range of issues pertaining​ to ICTs for Development in particular E-governance, ICT-enabled Innovation and Societal Transformations. – Written (often quoted) paper on E-government in Africa, multilingualism on the Internet. – ​Led authoring of a business plan for seed funding a start-up Givster.com​, a web-based cost effective way to send remittance as part of Entrepreneurship & Innovation of the Swiss Federal Institute of Technology (EPFL). 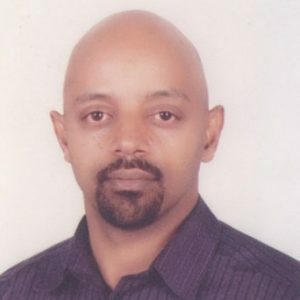 – Founded and directed CyberEthiopia.com with a vision to valorize locally relevant content in Amharic (Ethiopian language) and promote ICT4D. Launched in the early years of the World Wide Web (1995), the impactful community portal won the first prize of the African Information Society Initiative in 2005 and was quoted among ICT success stories in Africa at the World Summit on the Information Society (WSIS)​. Since May 2006, the most popular Ethiopian web sites (including CyberEthiopia) and several blogs have been blocked across the nation. The apparent objective was to prevent the dissemination of information that is critical of the regime. Following the political protests which have swept the nation since November 2015, the regime in Ethiopia has routinely shutdown the Internet and restricted access to Social Media and indicated its keenness to control Social Media. On 22nd June 2018, the new Prime Minister Dr Abye Ahmed, hailed as the ‘Gorbachev of Ethiopia’, announced that his government has unblocked 264 websites including CyberEthiopia.com after 12 years of blockage as attested by the OONI’s thorough verifications of our website’s unblocking . Swiss Ethiopian, married with a daughter and a son.